Most people don’t think a whole lot of time thinking about their furnace or boiler once spring arrives – they’ve already fast-forwarded to planning their garden (or working on their tan, if they REALLY want to put the cold weather in their rear view). Scheduling routine maintenance is easier – There’s a practical reason for scheduling a heating tune-up in the spring: fewer people are doing it, which means qualified HVAC technicians will usually be available. Expert heating technicians are in high demand during the coldest and hottest months; getting an appointment during the “shoulder seasons” (early spring and early fall) is usually easier. It’s not dangerously cold – If you get your heating maintenance in the spring, it won’t be a problem if you have a little heating system downtime while you wait for a replacement part or appointment. It’s THE time of the year for cleaning – Spring is all about renewal, which is why so many people spend a good part of their springtime in cleaning mode. Rather than leaving grit on the moving parts of your heating equipment all summer, give your heating system a once over in coming weeks. If you have a forced air system (one with vents, not baseboards), don’t forget to change your air filter –and consider a professional duct cleaning, especially if you’ve got funky smells coming from your vents. It’s the best time of the year to upgrade – Spring is the best time to take care of any major upgrades to your heating equipment: prices are typically lower than at other times of the year, incentives are more common, and top-notch heating installation technicians have more open appointment times. After a long heating season, it’s time to give your heating system the attention it needs; the work from our expert technicians will pay for itself with increased efficiency and fewer repairs. 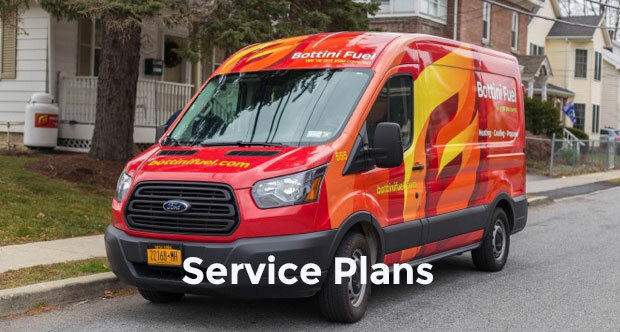 Contact us today to sign up for a Bottini Service Plan for your heating oil- or propane-fired equipment, or to get a FREE, no obligation estimate on a new high efficiency heating system for your Hudson Valley home.